More and more consumers are opting for a restaurant meal over home cooked meals as the former is more convenient and affordable with a host of variety of dish choices. However, operating a restaurant is not easy with many factors of consideration in its modus operandi. Listed below are 10 tips on how to improve a restaurant business to assist those who want to succeed in this industry. Operating a restaurant business requires not only good culinary skills and customer service; the restaurant must also be rightly located to attract the right type of patrons. It is crucial for a restaurant owner or manager to identify the demographics before setting up the business in any neighborhood. Running a restaurant business will incur some competition in the marketplace. It is crucial to identify the competition in the same industry and neighborhood to rise above the competition. There may be many factors of consideration to improve the restaurant business to draw customers than losing them to the competition. A service business such as a restaurant business requires the best of customer services from kitchen staff at the back to the serving staff in the front. There should be proper training for all staff to ensure the best of customer services to delight the patrons for frequent returns. A successful restaurant business must be always clean and cozy for customers to enjoy their meal and time with their preferred company. The establishment must be well decorated to create a homey and comfortable atmosphere with class and elegance for a worthy meal. 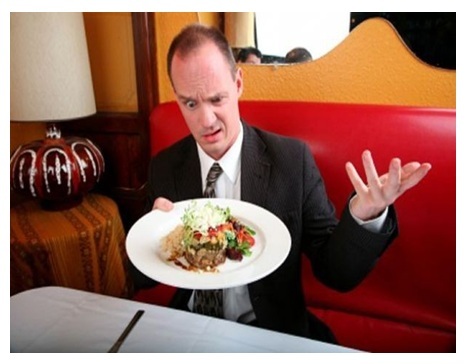 Cleanliness of the restaurant is crucial to keep health authorities away. Customers will not return if the place is unhygienic in its environment. This is a major draw factor to any restaurant where customers come because of the high quality of food offered. Prices may be higher, commensurate with quality. There may be slow days for a restaurant business; hence it is important to consider special offerings that would compel customers to come in to boost the bottom line instead of waiting for peak seasons. It is crucial to advertise and blow one’s own trumpet in promoting the restaurant. However, such advertising need not be expensive if properly handled. Operating a restaurant is a heavy investment with lots of supplies and perishable purchases. Wise management of the finances in every aspect would allow a bigger cash flow for a longer operation. One should not operate a restaurant business by resting on one’s own laurels. There must be a desire to improve the restaurant constantly as consumers today want variety and changes for a spark in their lives. This refers to meals outside the home. 9 Simple Local Marketing Ideas for Your Small Business… No Internet Required! Small businesses used to struggle while competing with the big boys in the industry. 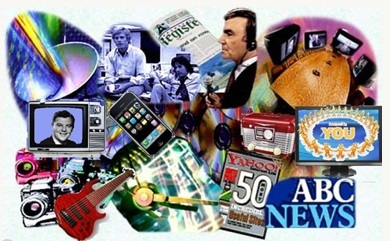 Not so today with the advent of the Internet and modern technologies. However, small businesses today can still apply simple local marketing ideas that are cost effective and impactful. Below is a list of 9 local marketing ideas for small businesses without the Internet. as they are seen as giving back to the community. Hence, a better brand image is developed and installed in the minds and hearts of potential prospects for the community. Fundraising events, local festivals and local sports leagues can be sponsored in small capacities by small businesses to impact the community. A small business can volunteer to host a networking event where relevant audience is invited to socialize at the gathering to create the right identity for the company. Consumers, suppliers, retailers and manufacturers meet up together to put a face to the name for better business relations. Small companies can take advantage of fish bowls card collection by putting one at their offices, showrooms and demos to offer a prize to the lucky participants who put in their business or calling cards. The fish bowl opens up a world of potential leads for a small investment on the prizes to secure more prospects for the business. It is crucial to collaborate with popular restaurants in the neighborhood where some sponsorship can be worked out to benefit both parties. It can be a dish on the menu named after the business company to create more hype during dining moments by consumers. Businesses that work together with the local non-profitable organizations win the favor of the community as they practice giving back to the community. The company’s altruism in corporate social responsibility is admirable to open consumers’ hearts towards their products and services. Many communities would like to secure a list of essential numbers of local services that would benefit the residents and shops in their neighborhood. Small business companies can participate by having their services listed besides the information on local services and contact points. The traditional Yellow Pages advertisement approach still works in some smaller communities and for older generations that are not too IT savvy. Many consumers still keep a copy of the Yellow Pages directory for a quick reference on local services required. But know your target audience. Yellow pages DO NOT WORK for younger demographics. They are simply doorstops or paperweights in many homes. A billboard advert is very powerful when placed in a strategic location with a high traffic. Modern electronic billboards offer a cost effective advertising option to create brand presence for the company. 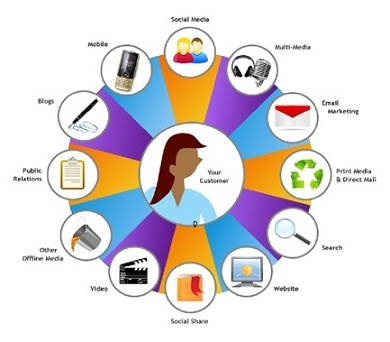 An expert in any field of service or product would make a great teacher or trainer for the community where accurate and relevant information is imparted in educating the right consumers for a particular business. Such involvement would enhance the company image as a market leader in its field. It is not surprising to have businesses clamoring for effective marketing tools and techniques to build their brand and image with the increasing competition today. However, businesses should consider o f f l i n e m a r k e t i n g a p p r o a c h e s t o complement their efforts on online marketing. Below are 7 suggestions for offline marketing ideas to build buzz for any business worldwide. Trade journals and magazines are always in the hands of consumers, suppliers and retailers. Consumers reading these trade journals and magazines seek relevant and interesting articles on any product or service in the market to enhance their lifestyle or business ventures. Hence, companies that attempt to contribute interesting articles related to their business offerings to print publications stand a higher chance of improving their brand presence and company image. Brand presence and company image through good quality articles published in reputed publications. It is crucial for companies seeking a wider market presence to reach their targeted audience . Securing interviews on mass media means such as radio, television and newspapers will create a greater awareness of the company and its authority in its respective industry. 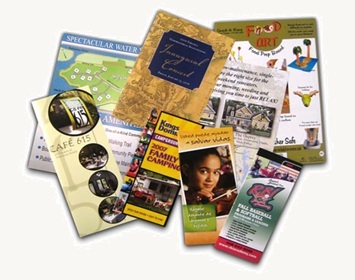 Printed advertisements such as flyers, leaflets and brochures are one of the conventional offline marketing approaches in businesses. Such printed adverts can be more effective with some effort in call tracking, instead of just distributing the printed matter and be done with the action hoping for the best outcome. Tracking the success of distributed flyers, leaflets and brochures with call tracking is a crucial marketing information for the company to determine the effectiveness of this marketing option. Direct mailing is another old marketing strategy using the postal services available. This marketing approach can generate good leads and sales if the mails are well written with a personal touch. But honestly, be prepared for most of it to end up in the trash. A good response in direct mail can be as little as 1 or 2%.. Businesses can consider sponsoring certain local events to create the desired buzz for their business. The local marathon or fundraiser event for a good cause would win the community’s and local authorities’ approval for the business Sponsoring the local sports team with jerseys that have the company’s name on the back is effective in building brand presence as it shows the giving back by the company. Event or congratulatory cards can work wonders. Consumers generally like a personal touch in life. Hence, it is important for business companies treat them more than clients and prospects. A personalized birthday card, holiday cards and special promotion cards mailed to the consumer can work wonders. The telephone is still one of the most effective offline marketing approaches in business. Customers who call in may be placed on hold; they can listen to the variety of promotions the company is offering or be educated about the company better through relevant information. Hence, the customers do not feel as bored and ignored waiting to be serviced over the phone and the company can advertise freely. Every internet marketer would exhaust all their efforts just to market their online marketing site to potential marketers. Email, Social Media and SEO are commonly utilized are tools to generate leads, however, that is not enough. 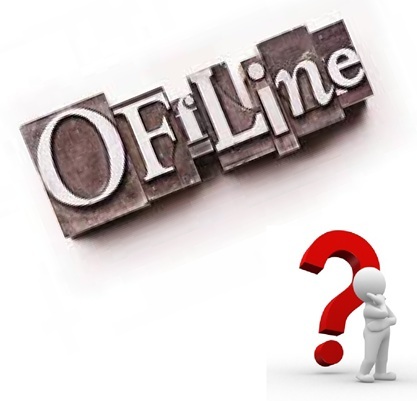 You could actually direct potential customers to your online site using the offline method. 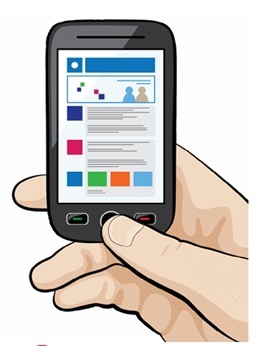 Ensure that your online site is optimized for mobile use. Most of the people spend more time using their mobiles phones. When- ever a customer sees your site on a mobile phone, you need to make sure your site is mobile compatible and not hard to view. Your brand name and services that your web site offers should be seen in just one glance considering the limited view those mobile. phones have. You need to create an impression and impact to the customer viewing your site or else the customer will not visit anymore your site. Moreover, mobile internet marketing is rapidly taking over internet e commerce, currently generating sales up to 5 per cent higher. Utilize SMS as well; send text messages to your customers. You may do this for delivery notifications and marketing messages. 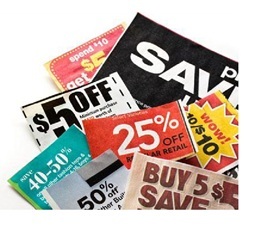 Sending coupons via the conventional mail could still be effective. You may make use of postcard services you can find online to make generic coupons for businesses and have it mailed to your customers. This is particularly advantageous if you already have a list of online marketing customers mailing addresses. And remember, you can use digital coupons with mobile as well. Invest time and money in your packaging. 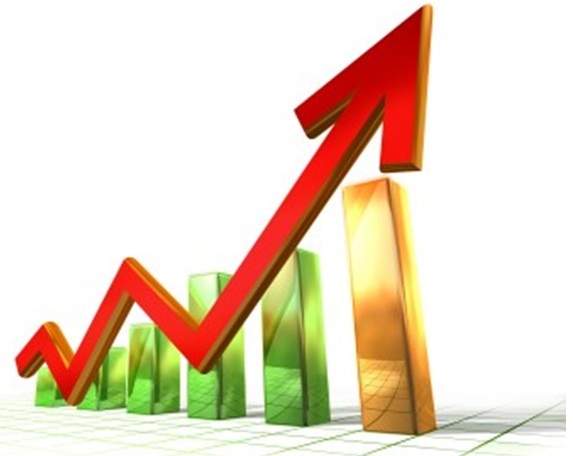 As an internet marketing shop, you actually reach your customer’s household. It would benefit you most if you make use of smart packaging. This simply means by putting your brand name and logo on your package. 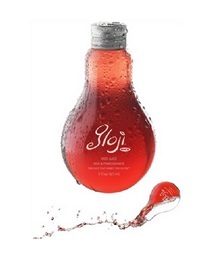 Utilize creative logos and make it visible on your package. You may also include call to action messages on your packaging such as Rate Product and Tell a Friend. You may also put your website on the packaging to direct customers to your online site. These things would actually provide valuable feedbacks and at the same time provide sales for your online business within the offline environment without shelling out much investment. If you are running a local business and you want to promote it, then there are many marketing strategies that you can use. Today, internet marketing strategies are very popular and one of the most widely used strategies is by establishing a blog. Making a blog allows you to provide important information to your clients. By starting a blog and putting relevant information in it, you give your clients an impression that you are an expert in your field. Having a blog does wonders for your local business and here are some of the ways on how you can use your blog to effectively promote your local business. Instead of writing articles in your blog, you can create video responses or reviews to make your blog more interesting to your readers. If you are more unique contents in your blog, it will inspire more readers to visit your blog frequently. To improve the traffic on your site, you can also post your videos at YouTube.com or other video-sharing sites. Another way to effectively use your blogs to improve your local business is to make sure that you add them on blog search engines such as Google Blog Search and then use Pingomatic.com to let the other search engines know. Blogging in order to promote your local business does not mean writing and posting articles. You can be creative by using video. By doing that you can draw a lot of people into it so, you will be able to make sure the contents of your blogs come up at the top of the lists whenever a potential client searches for your content. Having your own online business does not mean that you have to promote your business online. 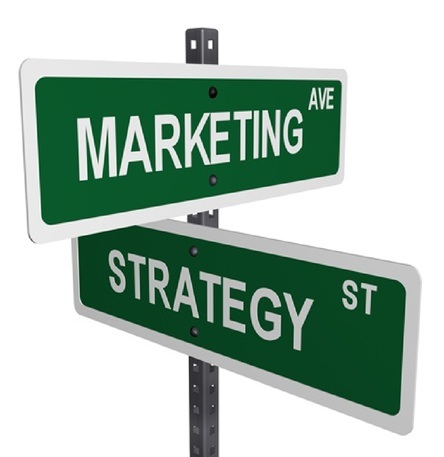 In fact, you also need to do offline marketing in order to make your business more well-known to your local clients. If you have been doing online business for a long time, perhaps you now shudder with the idea of facing people to build your network. Despite your fears, it is important for you to get out from your comfort zone if you really want to build your offline network. There are a number of clubs and organizations that you can join in your area. When you join clubs, make sure that you are interested with them and it is also very important that the club that you are interested in is somehow related to your business niche. Now going to targeted business is great but you can also get a lot of benefits if you join clubs that are not related to your business niche. What matters most is that you meet new people. You will be amazed at the new contacts you can make. A proactive way of building your offline market is to organize an activity. You can a workshop, a benefit concert or a small fair to build your offline network. Another great thing about organizing an activity is that you do not only meet potential clients but you will also meet suppliers and even your competitors. Having your own online business does not mean that you do not have the need to build your offline network. In fact, meeting new people really helps in spreading your business in your community. The popularity of social media has skyrocketed rapidly. However, most of online marketers are too dependent on this and forgot to promote offline. 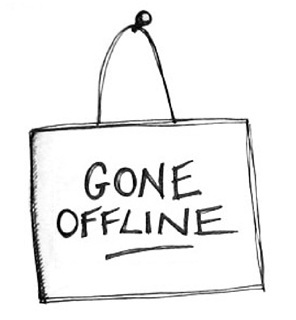 Being into the online marketing world doesn’t necessarily mean that your marketing approaches are based on the internet and using conventional offline marketing techniques are no longer effective. When you are done marketing with these people, extend it to your co-workers, neighbors and people you have interactions with on a day to day basis. Ask them to help you spread the word with their online acquaintances. Just remember that word of mouth is still effective and applying it to the people you know could generate leads for your offline business, online. 1. Initially start with individuals you know. Start with your Family and Friends. Your family members and friends are usually your potential customers. Don’t be afraid or embarrassed to tell them about the online business you do. You could actually call them and provide them information with regards to the business you offer. Ones that you meet in different places. You may actually join local clubs to help. 2. Get out from your Shell. Don’t be afraid to meet new people. Make new acquaintances and make efforts to know new people. Initiate conversations and be friendly to people and groups in your area, from there; you could leave them calling cards, flyers and marketing materials that would give information regarding your online business. Just remember that you need to be visible in places where most of the people can be found. REMEMBER, it’s easier to “step in front” of traffic for your business, than to create it from scratch. 3. Be an expert on your own field. Conducting free seminars, forming local associations for people within your community, conducting free consultations, posting relevant articles on your local newspapers are great ways to inform a lot of people regarding the advantages that your online business could provide them. Make sure to give them an expression that you’re a specialist on your own field and the person that knows best about the business is you! 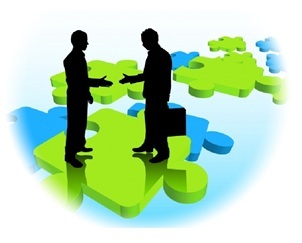 4.Create Strategic Partnerships. Create a list of businesses within your community that would complement your business. For example, wedding planners always goes with caterers and photographers. Look for businesses that are within your niche market and create reciprocal and strategic relationships. 5. Utilizing Direct Response Technique. If you are not familiar with this marketing technique, you would actually need postcards and mailing lists. This would basically cause you more money considering the mailing and postage you have to pay. 6. Making Use of Print Advertisements. The usage of Print advertisements is the most conventional way to promote offline. You may actually print your online marketing site on t-shirts, giveaways, streamers and car stickers, to increase customer awareness. It is vital that your potential leads would see your print ad anywhere to increase recognition. Lastly, check as well what your competitors are doing in the business. Mimic successful marketing techniques and learn from them.